The whistle goes and what a dramatic day in W12 as QPR come back from 4-0 down to make it 4-3 before Nahki Wells sees his stoppage-time penalty saved! No! Lee Camp goes the right way as Wells low effort is saved. QPR with a penalty in stoppage time as Craig Gardner fouls Freeman. Wells to take. Five added mins. COME ON! Joe Lumley denied Mrabti at the other end with a great save. Smith could have had two hattrick today as Lee Camp pushes his header over the bar at the back post. Change for Birmingham as Che Adams is replaced by Isaac Vassell. Nearly another for Smith as he heads wide of the post. Come on Rangers! QPR pull another back as Jordan Cousins smashes a volley into the top corner for his first Rangers goal. Pawel Wszolek with a nice cross and Smith is the target once more but his header goes agonisingly wide of the post. Change for Birmingham as Craig Gardner replaces Jacques Maghoma. Joe Lumley gathers from sub Kerim Mrabti's long-range effort. Lee Camp denies QPR again as Matt Smith sees his header parried away from Freeman's free-kick. QPR still knocking a the door. Somehow QPR are denied as Bidwell's cross is headed down by Smith and Wells is denied point blank by Camp before Freeman's follow-up bounces away. The visitors make their first change as Lukas Jutkiewicz is replaced by Kerim Mrabti. Boos ring out around Loftus Road as Leistner's volley from the edge of the box is saved by Camp and as Smith races in on the follow-up he's bundled to the floor but somehow no penalty is awarded. Matt Smith with a thunderous volley that Camp turns over the bar for a corner. QPR going all out. Freeman's free-kick is whipped in and Hall takes it off the head of Smith who was ready to direct at goal as it goes behind. That sub sees Furlong move into the back three with Wszolek in the right-wing back role. Change for QPR as Joel Lynch is replaced by Pawel Wszolek. Joel Lynch's looping header from Freeman's free-kick finds the hands of camp. Jacques Maghoma is booked for a foul on Darnell Furlong. Joel Lynch gets a yellow card for a foul on Jota. Matt Smith grabs his second of the game as he pulls one back getting on the end of Wells cross with a sliding finish across Harding. 2-4! 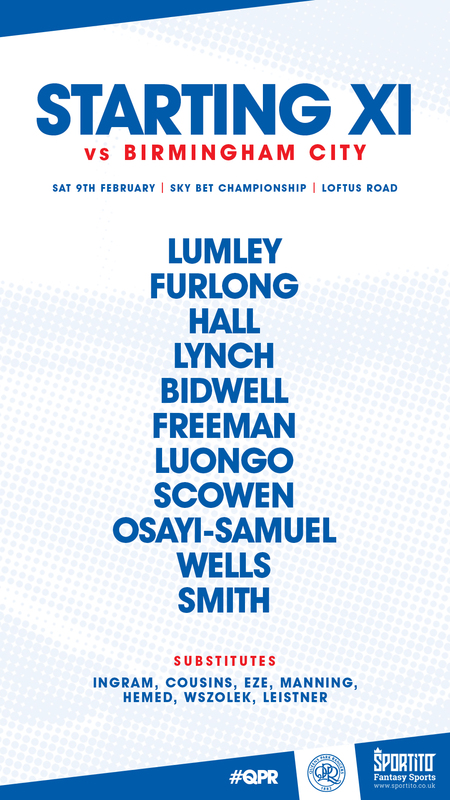 Those changes look like QPR have now gone to a 3-5-2 with Leistner, Lynch and Hall in a back three with Furlong and Bidwell as wingbacks. 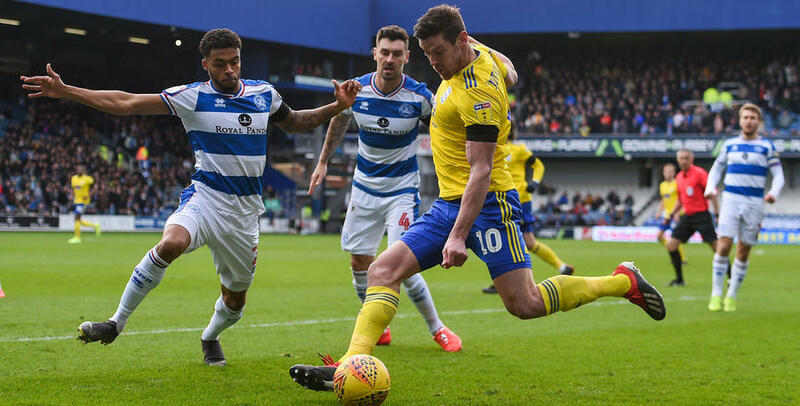 QPR get the match back underway here at Loftus Road. Double change at the break Toni Leistner and Jordan Cousins replace Bright Osayi-Samuel and Josh Scowen. It's been an awful half from QPR who trail 4-1. A hattrick from Che Adams and a Harlee Dean header handed the visitors a 4-0 lead before Matt Smith headed home on the stroke of half-time to pull a goal back. Rangers pull one back as Matt Smith heads in Luke Freeman's corner. 1-4. Two minutes of added time at the end of the first half. It's four to the visitors as Jota's effort crashes against the post and hits Joe Lumley with Adams reacting quickest to finish from close range for his hattrick. Birmingham City make it 3-0 from the resulting corner as Harlee Dean gets a free-header six-yards from goal and it beats Lumley and Scowen on the post. Joe Lumley with a diving save to push Gary Garnder's effort around the post for a corner. City doubles their lead through Che Adams as he beats the offside trap to run onto Jota's through ball before rounding Lumley and finishing into the empty net. 0-2. Rangers respond to going a goal down as Jake Bidwell's left-wing cross finds Smith in the box but his header is straight at Camp who gathers. Birmingham take the lead with their first real effort as Che Adams turns Joel Lynch before firing into the far corner with his right foot. QPR trail. Maikel Kieftenbeld turns and shoots on the edge of the QPR box but it only troubles the family stand in the Lower Loft. Positive from winger Bright as he drives down the left for QPR before his hanging cross is flapped at by former R's keeper Lee Camp. Fortunately for him he gets enough on it to push it away from the onrushing QPR attack. Luke Freeman drives over the bar with a volley from 20-yards after a corner is only half cleared by Birmingham. Bright Osayi-Samuel opens up on his right foot with a shot come cross and Wells tries to flick it on with his head but gets under the ball and it goes over. 10 minutes gone and not a lot to separate the two sides yet. Still 0-0. Half chance for QPR as Darnell Furlong hits the diagonal and Matt Smith rises but he can't direct his effort on goal or into the path of Wells. Off and underway in W12 this afternoon as Birmingham get the match underway. Come on you R's! Luke Freeman, the captain again this afternoon, leads QPR out of the tunnel at Loftus Road. Kick-off approaching. TEAM: Here's how Blues line-up today. QPR boss Steve McClaren names the same starting XI from the R's 2-0 win against Portsmouth midweek. 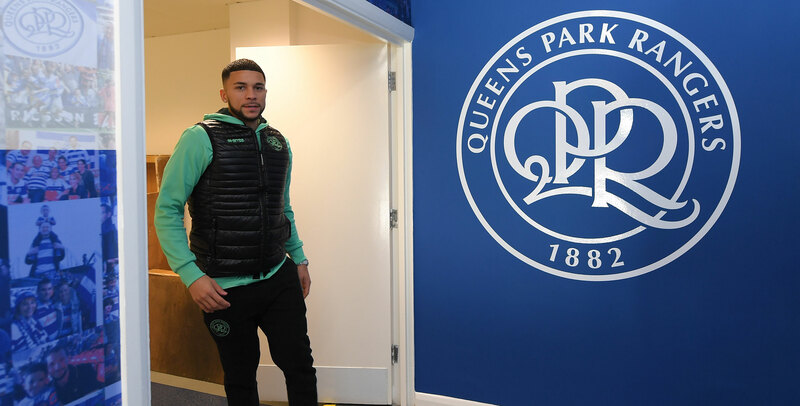 Top scorer Nahki Wells arrives in W12. Can the main man score again this afternoon? 🗣 Can #QPR get back on track in the @SkyBetChamp? We ask @AndySintonQPR!